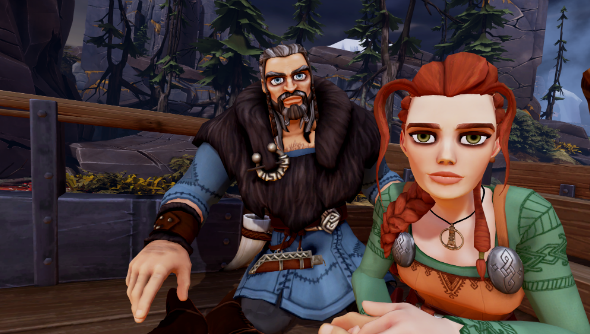 Viking-themed narrative VR adventure FATED: The Silent Oath is set for an April 28 release date, according to a new release trailer. Need a refresher of the year in games? Here are the best PC games of 2016 so far. The game tells the tale of a husband and father attempting to save his family from the old Norse gods, the Norns, through his eyes. Much of that revolves around sitting in a wagon as it pulls you towards your inevitable confrontation with the Norns, reminiscent of Fable: The Journey, the on-rails Kinect game for Xbox 360. FATED promises ‘a strong story-driven experience in which emotion and gameplay are smartly woven together’ which will play out through episodes of the game as they are released. All VR headsets will be supported as Oculus Rift, HTC Vive and PlayStation’s yet-unreleased VR offering will all put you right into the adventure of riding in a wagon and making choices about courage and sacrifice. Expect some heartbreak, we imagine.